I hope this isn't too recent for this thread, but this is pre-2003 Queen of New Westminster @ Duke Point. Photo by me. Pretty washed out, and not particularly historic, but, eh, what the heck. 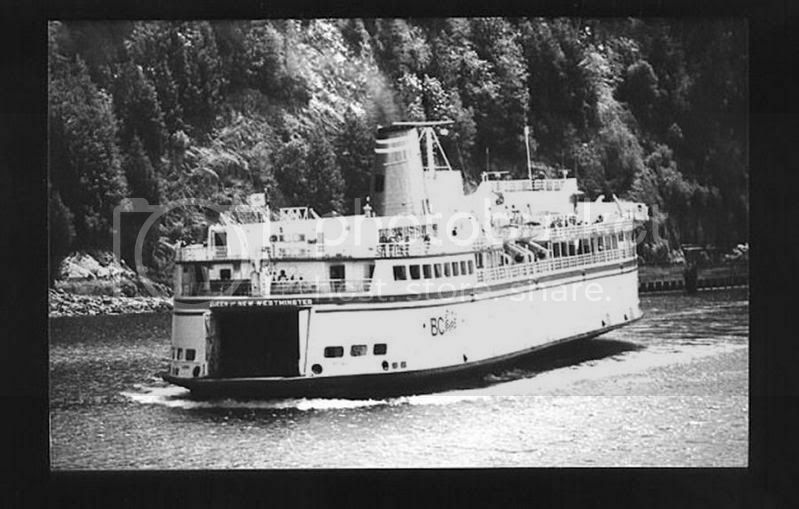 Queen of New Westminster looking long and lean at Langdale, 1980. Great photo! Took my first ride on her December 25th, 1986 at the ripe age of 6 days old! 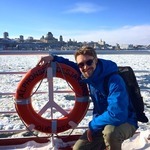 I should scan some photos from those trips!! Still a great photo and with impeccable timing considering her latest in a series of face-lifts that only Joan Rivers might rival. Considering that our New West's retro interior is now history, and the last like it to go, I've included this collection that I've been editing for a while now in this thread. "Follow the Birds to Victoria"
For the mystery Photo, I'm just going to say randomly off the bat that it's the Queen of Burnaby if it's a B Class, Victoria if It's a Pre-V Class. Queen of Burnaby Overall Though. Holy ****! That's quite the shot. I remember that. All the garbage used to be dumped off the back. So table scraps and kitchen waste became a floating buffet for the clouds of seagulls. The acrobatics the birds did midair was amazing. However, when the birds flew ahead, and the wind was right, and a belly full of fries or whatever, then SPLAT!!! Chris you know the ashtrays on the upper decks on the V's. They have a bashed up silver aluminum cup at the top that can be removed to be dumped and then a black metal stand that flares out to a circle at the bottom so it doesn't tip over. They were all over the ferry. At some point there were smoking and non-smoking rooms but I don't remember at what point. another version from the contact sheet... pretty good to site the Queen of New West pre stretch. Another photo of the Alberni, again from my brother's camera. This is from Expo year and was taken along the lower Fraser River with the Alex Fraser Bridge in the background. Uncanny. I had just earlier scanned this page, and was going to post it asking if this was the only time a serving member of the fleet had been upriver from Deas Dock. Guess you answered my question. Story from the now defunct Columbian newspaper. 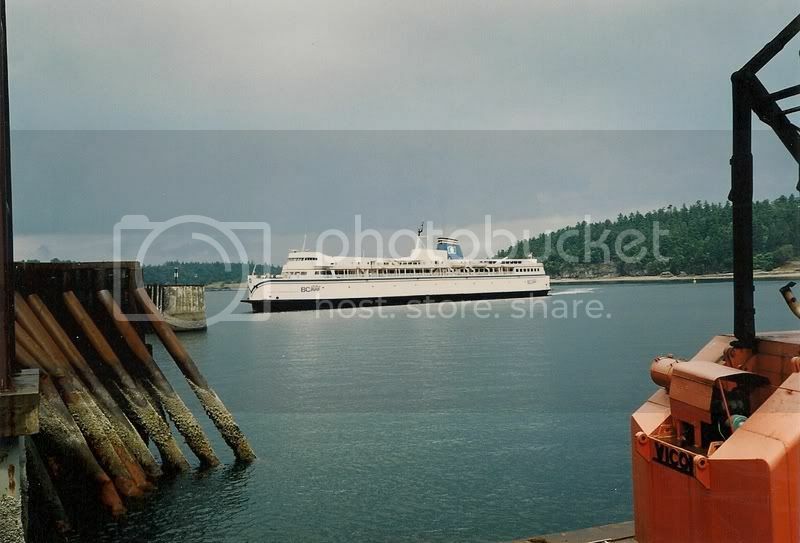 The New West must be the most expensive boat for BC ferries. I don't know the initial cost but the $39 million in 1991 is about $64 million today plus her current $50 million dollar upgrade makes a lot of wasted money in my opinion. Now for some photos of the pre-lifted Queen of New Westminster. The first six were taken on July 3rd, 1989. 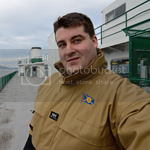 The Queen of Coquitlam was operating as the #2 vessel out of HSB that summer and had broken down. 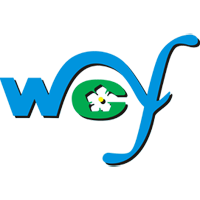 The QoNW was pressed into service for a week or so, operating on a modified schedule. I again travelled on her on Jan 31st, 1990. During the off-season (pre-route 30), route 2 was a 2-ship operation. 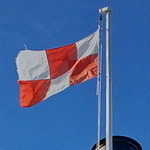 The Oak Bay was stationed out of HSB, and both the Alberni and Surrey was based at DB. 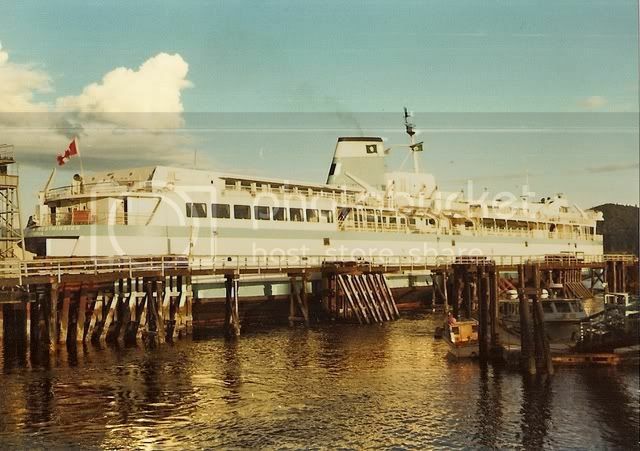 The Alberni was used Mondays to Thursdays because of heavy commercial traffic, and the Surrey was used Fridays to Sundays. 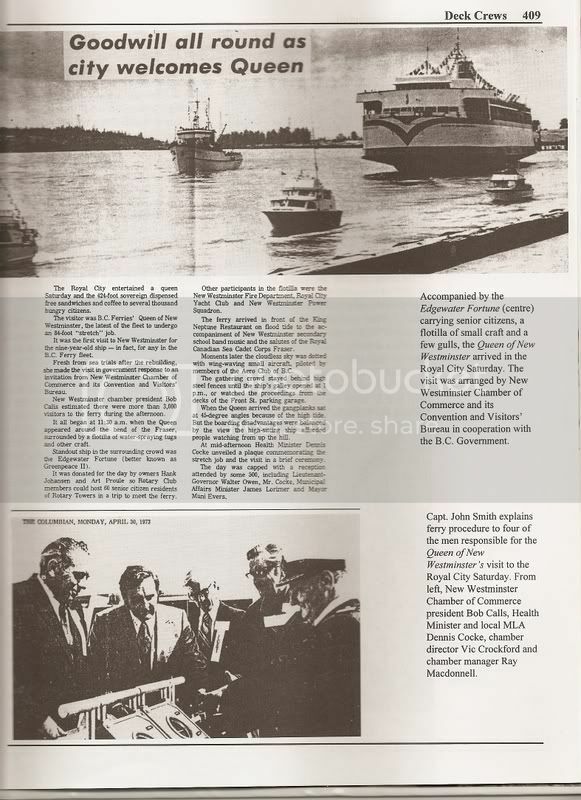 During the Alberni's refits, a second ship, usually the Coquitlam, was used Mon to Thurs to help with the truck traffic. This particular year, however, the QoNW was employed as the Coquitlam wasn't available. I'm in complete awe with your photos, sir. I'm very fortunate for you to have taken the time to take these photos back then, and then hold on to them to eventually post on this forum. That is so neat. 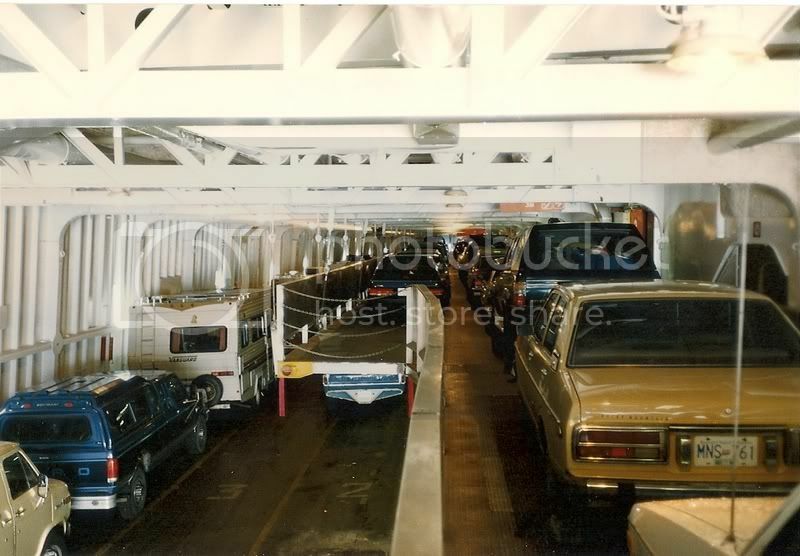 The Queen of New West pics really interest me too, because we have next to no photos of her pre lifting in the late 80s (expo scheme), let alone interior photos! I'm surprised to see the really old dogwood carpet as late as 1989. 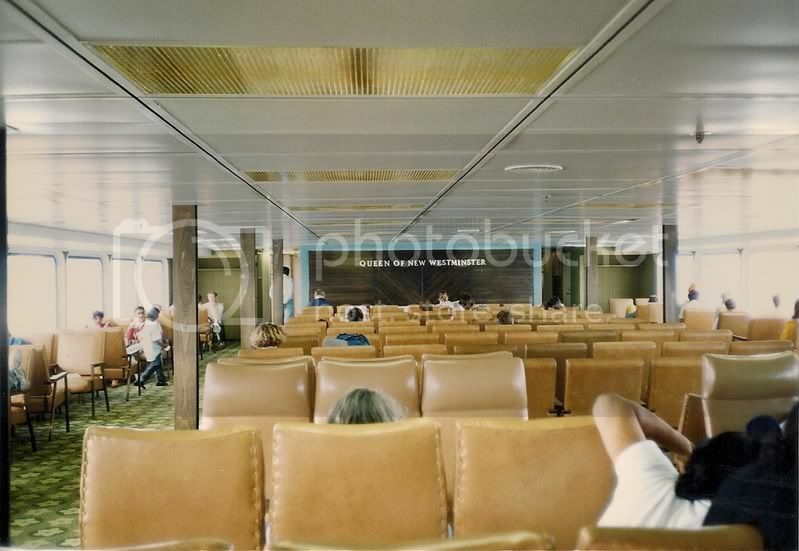 I thought for sure that the old dogwood carpet was completely removed from the fleet by the late 70's, early 80's. Another surprise, is the lack of the snack bar back then. The basic infrastructure for a snack bar is visable (ie: table seating and partitioning walls..) is all there, except for the actual snack bar itself. I wonder if that was something that had existed at one point before, and then was later removed. While she was lifted, the Snack Bar must have been re-installed. 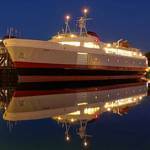 Put the dogwood colours on the New West and you have the ferries the way I remembered them when I was young. 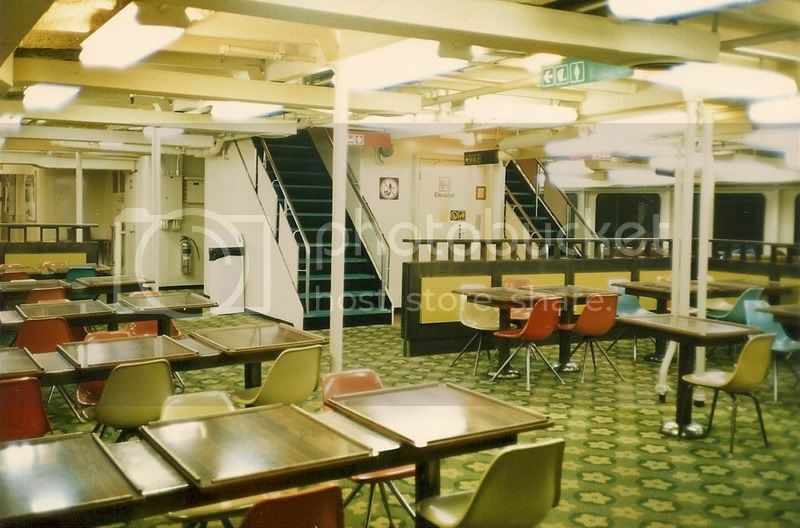 Loved the benches on the main deck when it was a bit damp out. 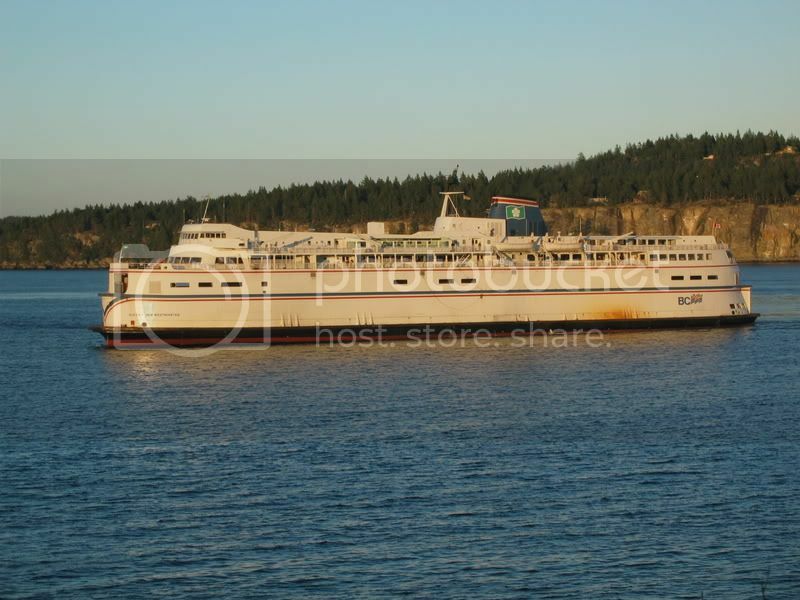 From what I remember, the Queen of Nanaimo was the only one of the 7 stretched sisters with a snack bar. 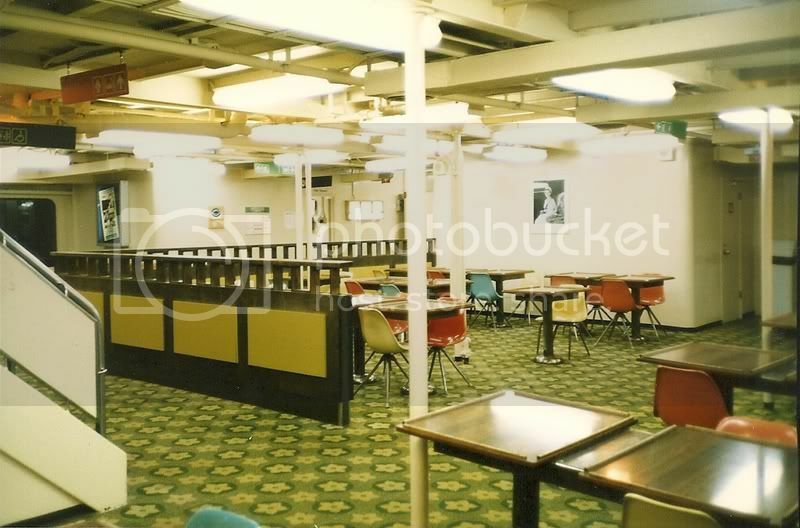 The aft lounge area on the other ships was used as overflow seating for the cafeteria, hence the tables. I just found some photos of the Queen of Burnaby when she was doing business as the Royal Victorian so I'll post those in a couple days. As a person who grew up onboard (a raised) Queen of New Westminster, I really appreciate seeing your photos of what she was like prior to my lifetime. Again, thank you. EDIT: My computer just loaded the pictures you posted above of the Queen of Burnaby. Again, as a person who has spent every summer in and around her since the retirement of the Sidney, I appreciate the photo archive of the ship before I really knew her. Now I don't need anyone giving me any more shady descriptions of original dogwood carpet because FerryFan has kindly provided us with evidence in full color. I find that carpet is very attractive... one more reason to like the New West if she managed to hold on to her identity for that long. Just to prove what a tenacious old ship she is, she will probably out last all of her sisters, now, with her latest refit... the New West is the little ship that could (well... we hope she still will be if she ever gets back in service). At first glance, I thought this area was quite garish, but I think i actually like those wooden railings on the partitions... sort of styled after the wooden railings along the bulwarks of old sailing ships. The yellow panels in it could use some toning down, though, as well as the chairs need some more tasteful colors. And weren't all of the V's and B's so bright inside back then? Not the dark dingy cave some people try to imply that the Vancouver is these days. One big change is the standard use of 34W 'econowatt' lamps in the fluorescent fixtures to save energy. The lumen output drops proportionately to the wattage. 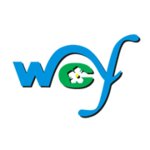 40W is (was) standard, but is getting harder to find. I sure with all the cost saving measures, no lamp is ever changed until it fails. Fluorescent lamps should be changed at regular intervals since they get dimmer as they age. Well those colours are very 70's. In the daytime the colours seemed more muted than in the lighting in the photos. The tables were formica, the ledges around were wood and wore pretty quickly, the chairs plastic. The plastic chairs were comfortable as they were at least moulded. However, when worn a lot I saw more than few of the plastic seats become separated from the metal legs mostly with kids rocking back and forth. The carpet wasn't at all attractive to me at the time anymore than it is to me now. The gold is quite close to the appliance "Harvest Gold" and the greens in the carpet close to "Avocado". My grandfather had a Plymouth Gran Fury in that gold followed by a New Yorker in the horrid green - both with every option he could get. 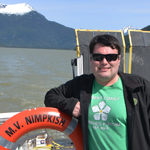 In the latter I felt like I was awash in the British Mushy Peas. Even the leather was in the green. At that time friends who lived off Lynn Valley got new shag carpet in that green. My family was no better as we got a hideous orange/red shag carpet for our "rec room". To each their own when it comes to colours. It is very subjective. I was always fond of the dogwood logo just not that application of colour . 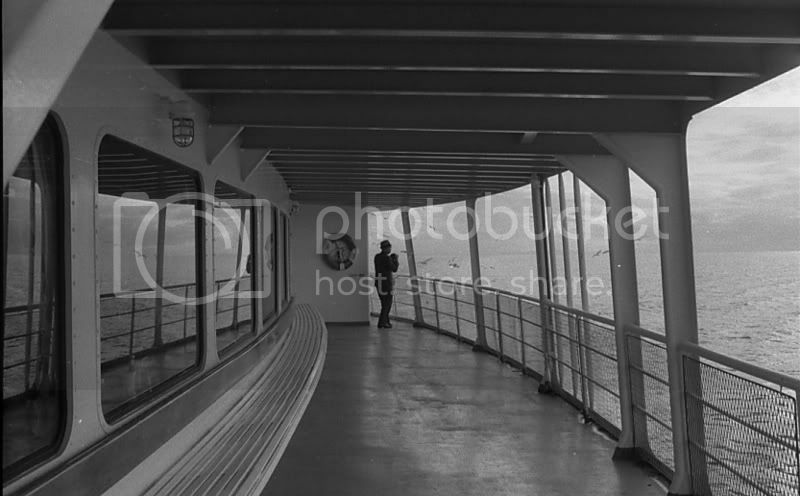 I want to go back in time to those days to experience the ferries back then. Just wanted to say I'm really pleased you're all enjoying these pics. 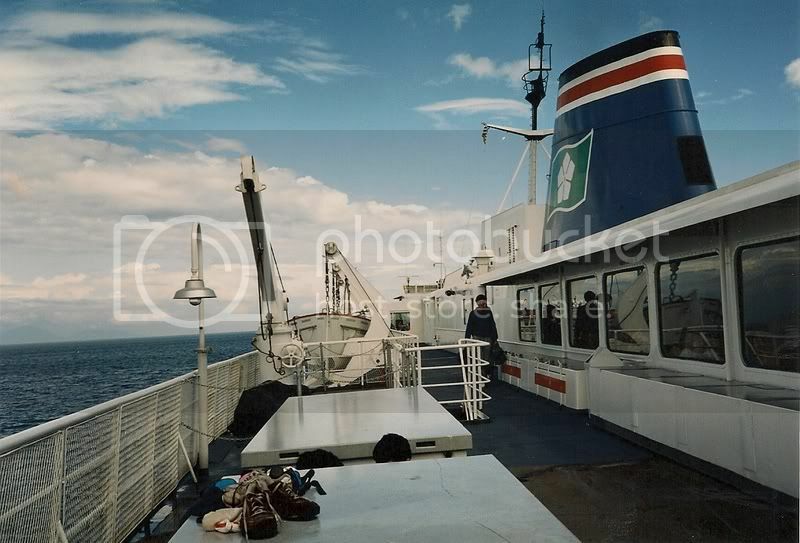 20'ish years ago when I was taking them, then showing them off to family/friends, no one seemed to understand why I'd want to take pictures of "stupid ferries" and would tell me it was a waste of time and money. 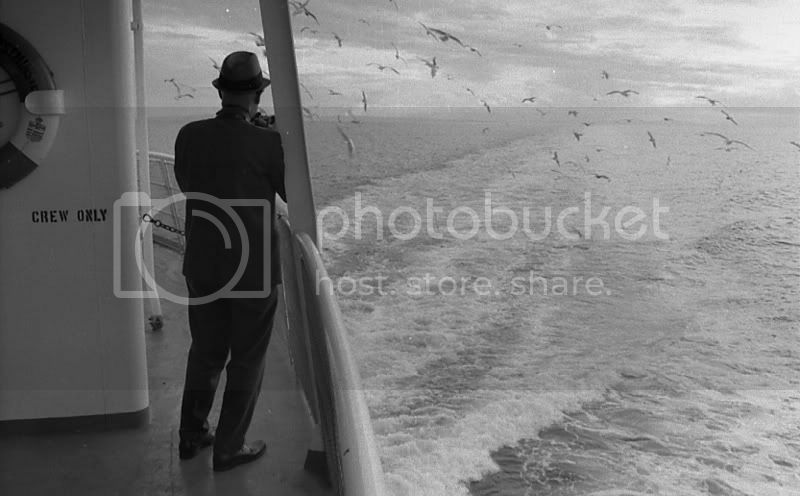 So I'd dutifully write the sailing details on the backs of the photos and file them away figuring I'd be the only one to ever appreciate them. Thanks to you all for proving the naysayers wrong! Now I'm wishing I'd taken a lot more, but I'm thankful for the ones I have. 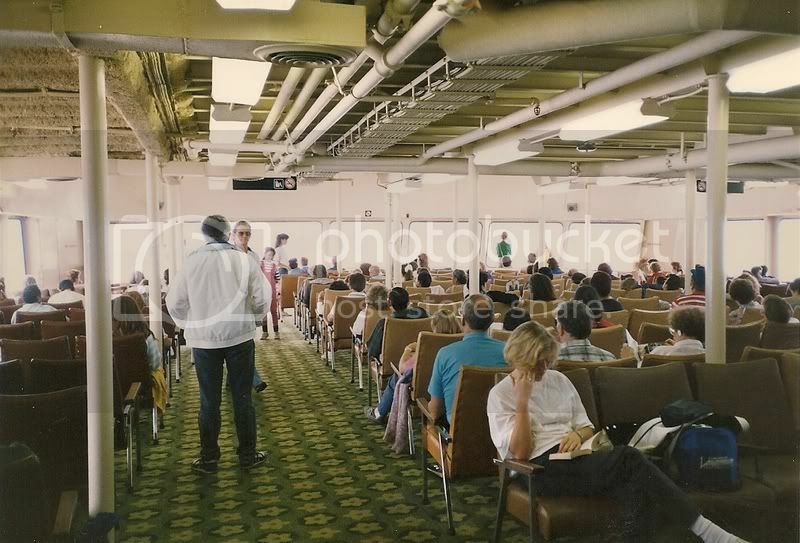 We really appreciate that you took the time photograph the insides of our ferries 20 years ago. I wish I had, too. 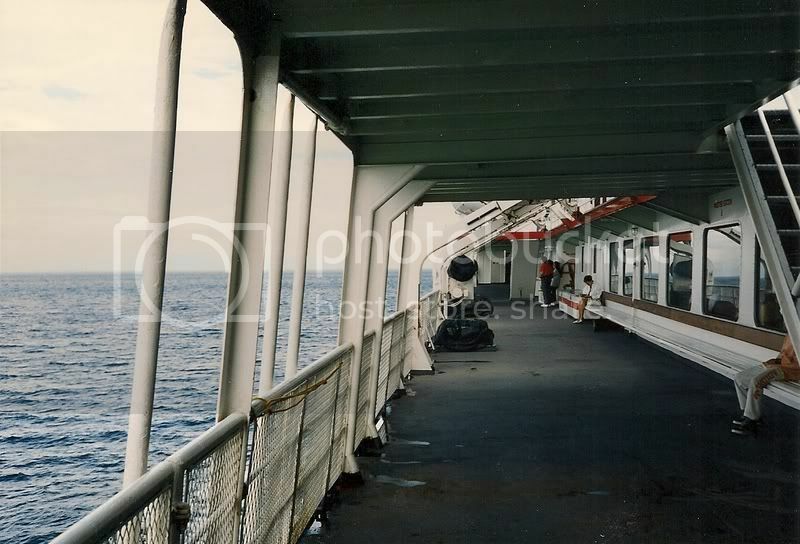 That was the time period that I was occasionally riding BC Ferries (1987-1990), but it's something I just didn't think of doing - heck, I don't think I even owned a camera back then. that's a great photo! How did 7 sisters get all those pics?